Tartar is caused by the buildup of plaque that has hardened and stayed on the teeth. It only takes 26 hours for plaque to harden. When it does, tartar develops which is even more difficult to remove. In this case, it is far easier to prevent tartar than to remove it! The presence of tartar can lead to several oral problems including cavities, tooth decay, gum disease and other health problems. Follow these tips to prevent the serious impacts of tartar on your teeth. Brush teeth regularly using the correct technique. It should take you at least 30 seconds to brush your teeth in the morning and before going to bed. 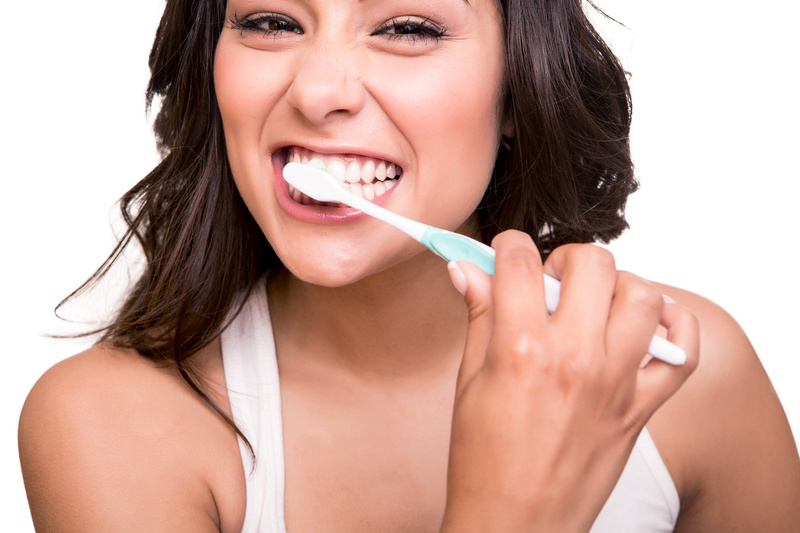 Brush with a soft-bristled toothbrush with a small head so you can extend it to the hard-to-reach areas in your mouth. Brush both surfaces of your teeth and your rear molars. Research has shown that electric-powered toothbrushes may be more reliable and effective than manual toothbrushes in removing plaque. Just make sure to always look for the American Dental Association (ADA) seal of approval, as this signifies that the product has gone through rigorous and accurate quality control and safety tests. Use tartar-control and fluoride toothpaste. These toothpastes contain pyrophosphates that help prevent the hardening of plaque while the fluoride helps repair any enamel damage. Some even contain the antibiotic triclosan that fights the bacteria in plaque. Floss. Floss every day even if you brush your teeth regularly. Daily brushing coupled with flossing will eliminate the plaque that got caught between the teeth and will prevent the formation of tartar in the hard-to-reach areas. Watch what you eat. Starchy and sugary foods encourage bacteria in the mouth to thrive. So eating plenty of these foods increases bacteria that release acids and damages your teeth. Limit your intake of sweets and foods that contain plenty of sugar. Be careful of snacking, too. There’s no need to give up sweets or snacks; just be careful of the frequency and be diligent about brushing and flossing. Make sure to drink plenty of water after every meal to reduce the build-up of plaque and prevent tartar. Avoid tobacco. People who smoke or use other tobacco products are more prone to having tartar on their teeth and beneath their gums according to studies. A visit at Hilliard dental office will keep plaque and tartar at bay. Prevent and eliminate tartar today – visit Dr. James Voyles!